﻿﻿﻿﻿We had a great time visiting family and friends, but it’s time to head home. Before stopping to say goodbye to Eric and Danielle, we first stopped at a U-Haul facility to rent a dolly for Teresa’s car that we will be taking back to Minnesota. Pulling it has not been too difficult. We hardly know it’s back there. We just have to remember to be careful on the corners and be mindful of how long we are. 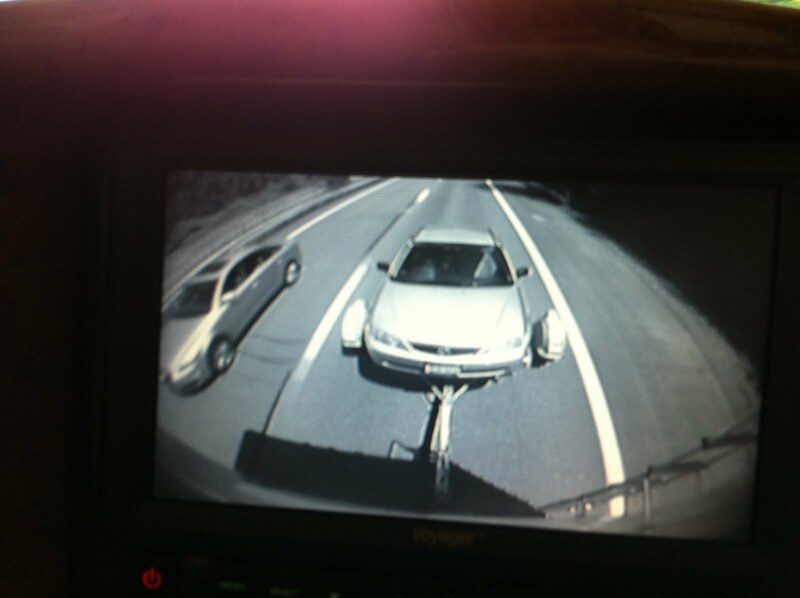 The rear camera helps a lot. We do have side cameras too! Bernie usually drives thru the city traffic but somehow today I found myself in the middle of rush hour traffic in Albany, New York. Ugh…I did NOT like it! I only got honked at once when I got in the wrong lane at the Toll Plaza and had to scoot over. 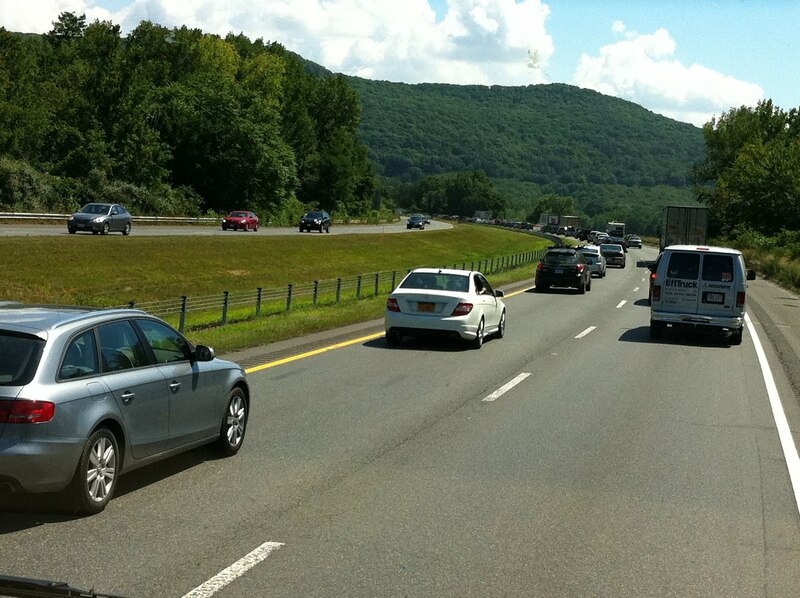 Today we drove thru parts of New Hampshire, Vermont, Massachusetts, and half way thru New York state. I see why people like to come here when the fall colors change. The rolling tree covered hills go on for miles and miles. We are sort of paralleling the Erie Canal. We bridged over it once and I wanted to take a picture but I just couldn’t get Bernie to stop and back up on the freeway. I wonder what goes on inside Marble’s head. She spends almost all her time laying on the bed even when we’re driving down the freeway.